Marriott Bonvoy Titanium & Ambassador Recognition? In the interest of full disclosure, One Mile at a Time earns a referral bonus for anyone that’s approved through some of the below links. These are the best publicly available offers that we have found for each card. Opinions expressed here are the author's alone, not those of the bank, credit card issuer, airlines or hotel chain, and have not been reviewed, approved or otherwise endorsed by any of these entities. Please check out my advertiser policy for further details about our partners, including American Express, Capital One, Chase, and Citi, and thanks for your support! Earlier this week, one of my credit cards came up for renewal, meaning I was hit with a substantial annual fee. I did the math for myself to figure out whether the card was worth keeping, and figured I’d share my analysis and thought process in deciding to keep the card. Cards that maximize category bonuses, including gas, groceries, dining, travel, etc. The obvious thing preventing people from keeping a dozen cards for a long time is the annual fee that most “valuable” cards have. But in many ways keeping a card beyond the first year can be an investment in your credit score, ensuring you’ll be able to take advantage of great welcome bonuses in the future. I say this because the length of your average account as well as your credit utilization make up about 45% of your credit score, which could be the difference between being approved for the next welcome bonus and being denied. But I think the key for many is to find a card with a low annual fee that maximizes your bonuses in a category that you spend a considerable amount in annually. Then, while it’s probably common sense to most of you, be sure that the additional points earned outweigh the annual fee. If you’re an “average” credit card spender and also welcome for at least a handful of credit cards per year to maximize welcome bonuses, chances are that you’re usually working towards meeting the minimum spend on a new credit card. If that’s the case, you won’t get a lot of value out of the Premier Rewards Gold card beyond the first year, for example, despite the fact that if offers triple points on airfare and double points on gas and groceries. For me, I spent about $30,000 on airfare on the card last year (lots of it was for clients, family, and friends), earning me 90,000 Membership Rewards points. The next best card to put that on would have been the Chase Sapphire Preferred, which earns two points per dollar, for a total of 60,000 Ultimate Rewards points. I value Membership Rewards points at a minimum of 1.5 cents each (that’s a conservative valuation), so that $175 annual fee basically “cost” me ~12,000 points. Even with that factored in I earned 78,000 Membership Rewards points, which is still a better value than I would have gotten through any other card. That doesn’t even factor in that the card earns double points on US restaurants, US gas stations and at US supermarkets, making it the card I put all my spend in those categories towards. So there’s no “one size fits all” for which credit cards are best to keep past the first year. Some cards are worth keeping for the annual benefits, even if you don’t intend to spend a dime on the credit card (as outlined above). Other cards, however, are worth keeping because the points bonuses earn exceed the annual fee. For the average consumer, I’d say the two cards that strike the best balance between a reasonable annual fee and great bonuses would be the Chase Sapphire Preferred® Card ($95 annual fee) and Marriott Bonvoy American Express Card ($95 annual fee (Rates & Fees)). Between the two cards you have my above three requirements satisfied (no foreign transaction fees, one card not issued by American Express, and category bonuses). The Chase Sapphire Preferred card gets you double points on dining and travel, while the Starwood American Express essentially earns you 1.25 airline miles per dollar spent (since you get a 15,000 point bonus for every 60,000 points transferred). Furthermore, between the two cards you have just about all the major airlines and hotels imaginable covered, with the exception of Hilton. 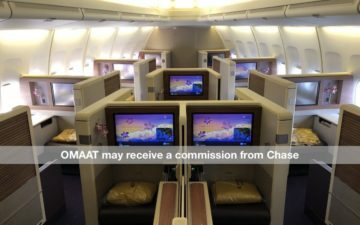 Chase Sapphire Preferred points can best be transferred to United, Hyatt, Marriott, and IHG, while SPG points can be used for SPG stays as well as transfers to American, Delta, and US Airways, just to name a few. The following links will direct you to the rates and fees for mentioned American Express Cards. These include: Starwood Preferred Guest® Credit Card from American Express (Rates & Fees). Guess when Chase pulls the 50,000 point Sapphire Preferred bonus and win 10,000 Ultimate Rewards points! Regarding Comments: The comments on this page have not been provided, reviewed, approved or otherwise endorsed by any advertiser, and it is not an advertiser's responsibility to ensure posts and/or questions are answered. Chase Sapphire is a definite, but only when you tag on the Chase Freedom (which is free). I also do keep cards where they waive the annual fee, if it makes sense through category bonuses. Chase Sapphire will be a tough decision coming up for me, since I’m in that “average” category where I’m usually meeting spends for other cards. I do like the lack of foreign transaction fees, but the Hyatt card would also offer that, and I haven’t signed up for that yet. In addition to the 10,000 annual bonus, the US Airways card offers 5,000 off each redemption, plus it counts as a hit during the Grand Slam (assuming they keep it). I’ll be keeping that one around given how many miles I have saved up. The Chase Southwest cards also give an anniversary bonus that offsets the annual fee. I keep my US Bank FlexPerks card for the 3x points on charitable giving. For me that results in at least one free ticket per year. Don’t forget the US Airways card also offers an Annual Companion Certificate. I’m having a hard time deciding whether to hang onto the Chase Sapphire. Most of our spend comes in the 1x category. We are not big consumers so there are not going to be big bonuses earned in the UR mall. We find we may actually be better off spending $30k on the BA card and taking the companion tix and paying the fuel surcharge. I think for us, sometime in the future we are going to have to decide do we want free hotels or free flights. what do you think is the best way to use MR points? I really don’t have an idea as it seems UR points are great for united, korean air, and hyatt hotels. Amazing! mine is up for an annual fee too..I was thinking of canceling it and getting the Green Membership rewards card just to keep my points alive! Bad idea Ben??? @ Ryan — I’ll have a post on that in the next couple of days. @ Ozaer — Not at all, if you don’t want to keep the card but don’t want to transfer Membership Rewards points yet, that’s the best option, in my opinion. @ Jerry — Updated, thanks! Ben, your analysis is off. Since you value Sapphire points more highly than Amex points here’s how you need to compare. Take your 1.5 cents per point for Amex. I’d argue it’s higher, let’s go with your number. Then say the Ultimate Rewards points are worth 2 cents apiece. Take $30000 in airfare spend, that earns 90000 Amex points ‘worth’ $1350. Take that same $30000 in airfare spend, putting it on Sapphire Preferred, it earns 64,200 points ‘worth’ $1284. So the net benefit of putting the spend on Amex is actually just $66. Which is less than the cost of the annual fee. Play with the values, the amount of spend, the answer may come out differently. And of course this doesn’t factor in bonuses for gas and groceries on Amex PRG which aren’t bonused by Sapphire Preferred. I know you bloggers hate Delta, but their platinum Amex comes with a free companion ticket plus first bag free for up to 9 in same res, zone 2 boarding, for $150/yr. Or the reserve adds SkyClub access and the companion ticket can be in first (if you pay for a domestic first ticket.. That is). I found it to be well worth the fee for those few without status. Chase United Select is my keeper, 3x UA purchases, 2x gas, groceries, dining, only $35 per year with my UA 1K discount. I’m keeping my PRG AMEX. Between all of the facebook, twitter and holiday bonuses I have paid for my annual fee five times over and have a ton of MR points as a bonus! SPG Amex and Chase Southwest are my keepers. In addition to what has already been mentioned, SPG points are often worth more than 2 cents each for hotel stays (often much more when “cash & points” is available), and Southwest tickets purchased with points are de facto fully refundable with no penalties. Ben, I agree with you on SPG Amex and Sapphire for all of the reasons you mentioned. Between those two, you have many programs covered. Hilton and others you can get no annual fee cards for anyway. One other travel one that I think we may keep is the Cap 1 venture since I managed to pick up a 50k bonus for a business checking account. A consistent 2% on foreign transactions that are not “travel” really is good. Gary you have not factored in the 15k bonus for AMEX due to the $30k spend. The easiest comparison is comparing how many BA points you can get from the Sapphire vs the same spend on AMEX. I think this has to be an individual calculation due to different spend patterns. Also you have to take into account bonus transfers that AMEX has plus the ability to buy points when needed. If Sapphire offered both of these would probably let AMEX go. Ben, we decided to keep the UA Select Card (3 miles/$ on United airfare, 2 miles/$ on gas, groceries and home improvement stores, 1 mile/$ everything else). It also comes with a 5k annual bonus. Usually when our cards come up for renewal, we try and ask for a retention bonus. Amex has been pretty stingy, so I cancelled my Amex Plat in November, and my wife cancelled her Amex PR Gold in January. Keeping the Hyatt and Priority Club cards for the annual free nights, too. Would like to see what Chase would offer in May when the Sapphire Preferred renewal comes up. @ Gary — It’s the 15K bonus that makes the difference and makes it worthwhile, as Toula points out. Right now, it’s the Sapphire Preferred and SPG AmEx for me. Gary’s right in the way he evaluates the cards. I have to dump the AmEx PRG — bonuses aside, I rarely buy airline tickets outside of my annual “big trip” (and then most of the airfare is points anyway), can get bonused spend on gas with the Chase Ink cards, but do spend a bit on groceries. However, I only spend about $6000/year in groceries, meaning my net benefit from MR is no more than $120. Against a $175 annual fee, it’s clearly not worth it. Further, I can’t even value 6000 MR points at $120. Why? ‘Cause 6000 points alone with AmEx’s transfer partners aren’t worth anything. My active accounts these days are AA, UA, Hyatt, and SPG. 6000 points to a different MR partner isn’t going to help me. The Costco Amex does have an annual fee in the sense that you pay a fee and get a free club membership. It’s no different from any of the airline club credit cards. You could argue that one of those has “no annual fee” but you have to pay $450 for a lounge membership. My keepers are the UA Select Visa (at least for now), Sapphire Preferred Visa, Hyatt Visa, and SPG Amex. I’ll probably add to the list the US Airways and Priority Club cards when I get around to applying. And at some point I’ll shell out the big bucks for a Platinum Amex. You can use Membership Rewards to book AA flights. You have to transfer MR points to British Airways (currently giving you a 50% bonus transfer) and then book via the BA site, it’ll bring in partner search for flights. Average cost is 25k miles for a continental US flight in AAsaver. You may be able to redeem for less if your have a shorter distance to travel. For me the keepers are Chase Freedom (extra bonus points with my Chase checking account), Chase Sapphire Preferred, and Costco Amex. Everything else is only worth the sign up bonus. Now if the free annual hotel night offered by Chase Marriott and Hyatt allowed redemption on higher cat hotels by adding points (e.g. cert + 3K points for Hyatt cat 5), then those cards could be keepers for me. Instead of cancelling the card outright it’s worth seeing if they will either waive the fee (or issue a credit for certain number of transactions which Citi offered me for the AA Amex) or convert the card to some kind of fee-free product. That way you can hold onto the credit line, for example for when you want another Chase card and they are happy to move credit from an old card to the one you are applying for. Or if you can finagle a big enough retention bonus out of them to offset the fee that’s another reason. Citi only offered me 3K miles and I had to spend $500 to get the bonus. So that didn’t seem worthwhile. I still need to call them about the AA Visa. 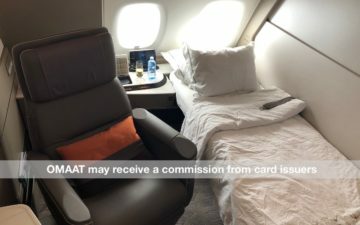 Once the BA fee comes due I think I will apply for the Hyatt card and cancel the BA, retaining the credit line for the new card. Luckily Chase seems to be very happy to do this sort of thing. And if you call the reconsideration line they all know what you want to do. If you’re a good customer they seem to be more than happy to work with you. My keeper (for now) is the Chase United Platinum Visa, which is no longer offered, but is apparently being maintained for existing cardholders. It’s $140/year, which is steep, but it earns 2x points for “everyday” spend, and one can earn up to 10,000 EQM (now PQM) per year. Those EQMs have been invaluable some years, and, combined with the bonus points (which average, for me, something like 40% of the base points), make it well worth the $140/year. However, after United’s recent devaluations of both Silver and Gold status levels, I’m starting to sour on United. The Sapphire Preferred is more flexible, probably would yield a similar proportion of bonus miles, and the fee is less — but of course, no PQM. I’ll have to decide in a few months whether to cancel the Platinum in favor of the Sapphire – an irrevocable decision, which makes it hard. how many open credit cards do you have now Lucky? @ saaws — I have about 12 open right now in my name — I keep about five cards long term (the numbers work out for me), and I’ve gone through about seven in the past year. You rarely (if at all) mention the Capital One Venture Card. I realize their rewards cannot transfer to any major points program, but they can be redeemed for booking future or reimbursing previously purchased travel, in addition to other things, like cash back. Plus the annual fee is only $59 and, as with all Capital One cards, there are no foreign transaction fees. Not to mention, there’s a decent bonus going on now if you’ve accumulated significant rewards with another travel card. My other card is the Chase Sapphire. Ben – do you by chance know if the Amex SPG’s 2 stays/5 nights towards elite status counts for the SPG Platinum challenge? @ sousha57 — There are other cards that offer 2% cashback, and frankly that’s essentially what the Venture Card is. If I’m going to be earning cashback I’d rather it be money I can apply towards anything instead of just travel. But that’s not to say the sign-up bonus isn’t worthwhile for some. @ Andrei — To the best of my knowledge they don’t, unfortunately. It looks like The US Airways MasterCard no longer offers 10,000 bonus miles annually unless you spend $25,000 a year on the card.